In the last ten years, the health of the Albanians and their lifestyle has deteriorated in terms of noncommunicable diseases. The prevalence of obesity, hypertension, diabetes, cancer, etc. has increased considerably. A survey led by the Institute of Public Health and Albanian State Institute of Statistics to 15,800 people in 2018 found that Albanians are severely suffering from mental health. Nearly 60-70% of respondents had experienced depression two weeks before the survey, while 18% of women and 13% of men were depressed all the time. The prevalence of cardiovascular disease and cancer is increasing in Albania. In 2017, these diseases accounted nearly 70% of total deaths according to official data, while in 2008, these diseases were responsible for 52% of deaths. The trend of hypertension in Albania has deteriorated for males and females in the last 10 years. According to the 2018 survey, the prevalence of hypertension is 24.3% for women versus 20% in 2008, for men has increased by about 10 percentage points compared to 2008. Fier county has the highest number of males with hypertension. The proportion of overweight or obese men was 53% in 2018, the same as in 2008, while the percentage of overweight or obese women increased from 39% in 2008 to 45% in 2018. From 2008 to 2018, the prevalence of measured hypertension increased from 20% to 24% among women aged 15-49 and from 28% to 38% in males of the same age group. Hypertension is the main cause of heart disease, also damages the brain, causing death or permanent physical damage. Hypertension measured during the survey was present in 24% of women and 38% in men aged 15-49 years. About 70 percent of women respondents and 57 percent of men said they had experienced depression during the two weeks prior to the study. 13% of women and 18% of males aged 15-59 were very depressed two weeks before the survey. 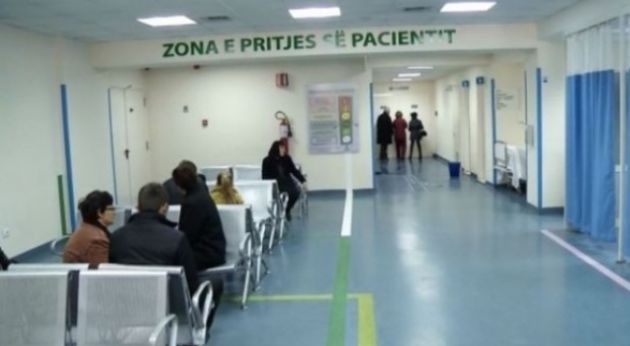 According to a survey conducted by Oculus News in 15 pharmacies in the Tirana region, 12 of which claimed unanimously that the consumption of antidepressant is increasing, while 3 refused to respond.